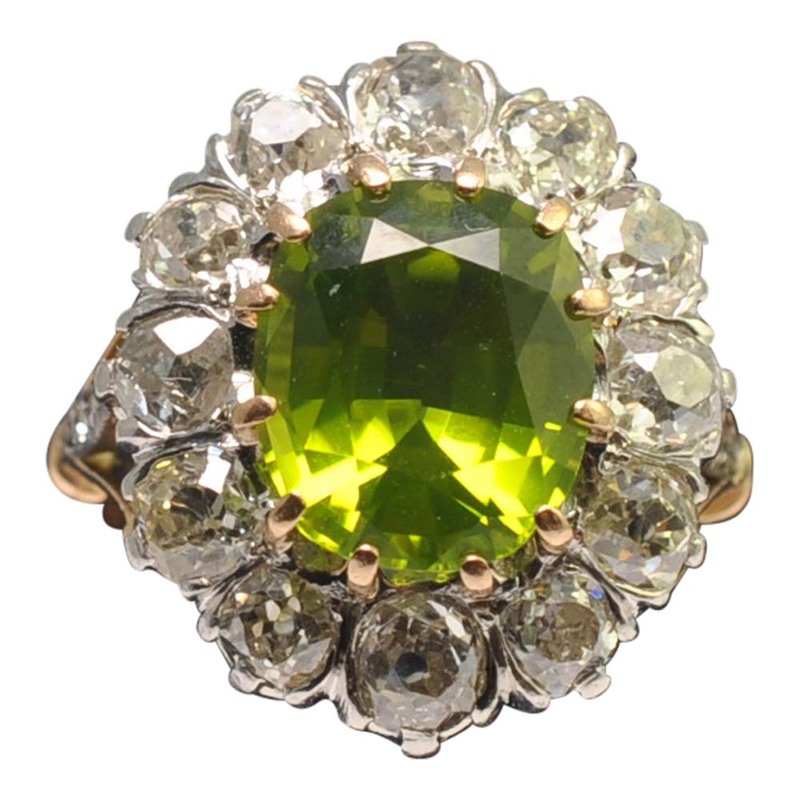 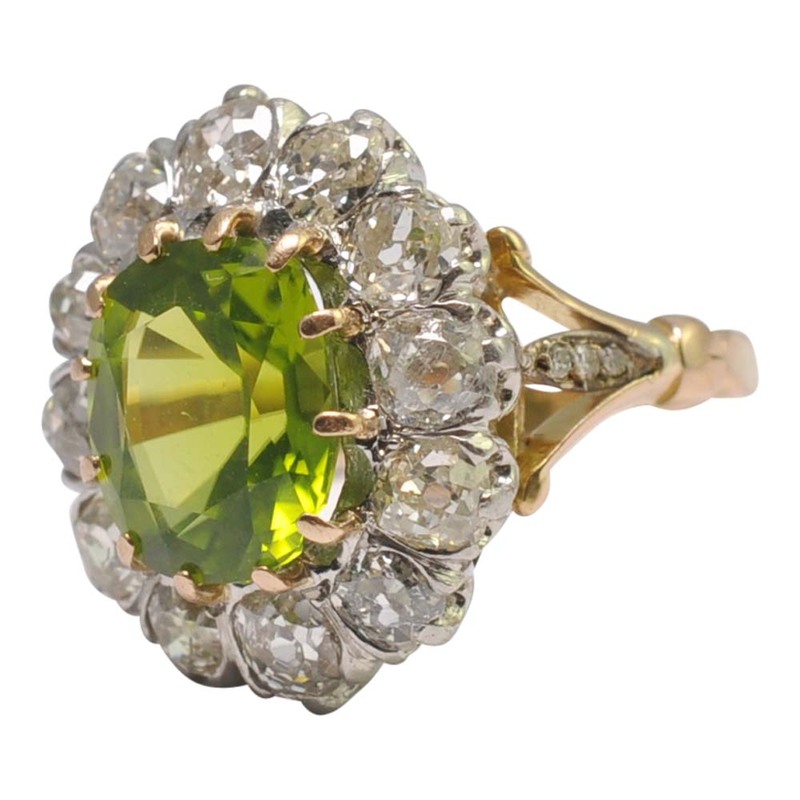 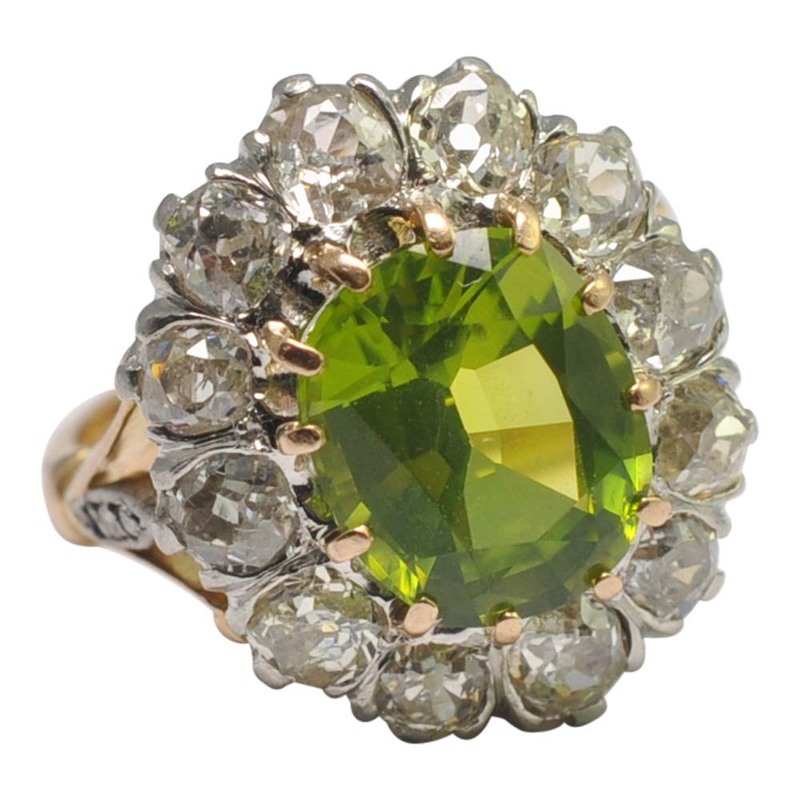 Antique Edwardian peridot and diamond cluster ring in 18ct gold. 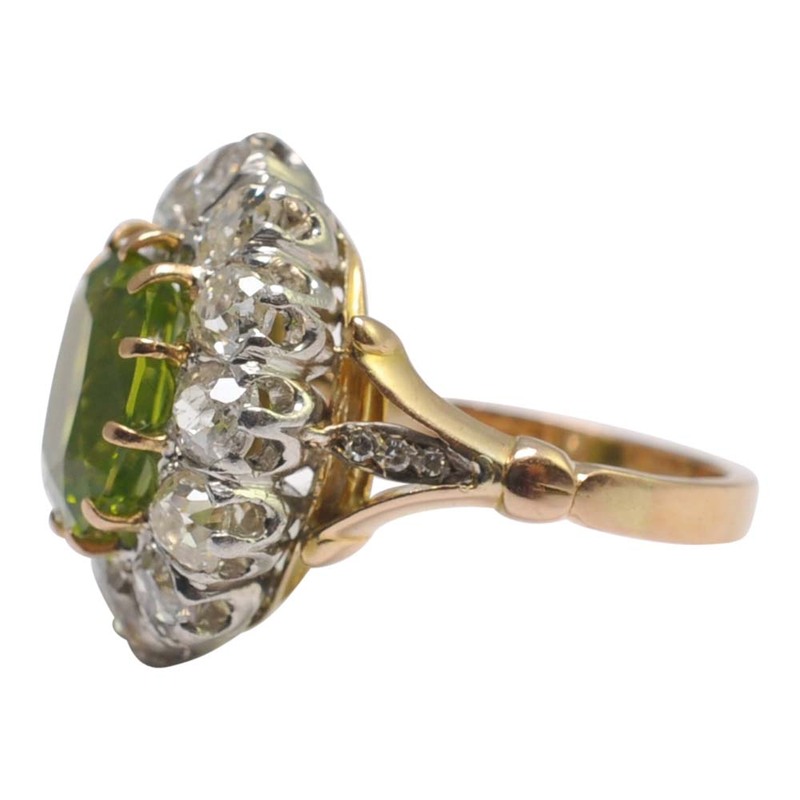 This is a dramatic and beautiful ring from the late Edwardian era that really makes a statement. 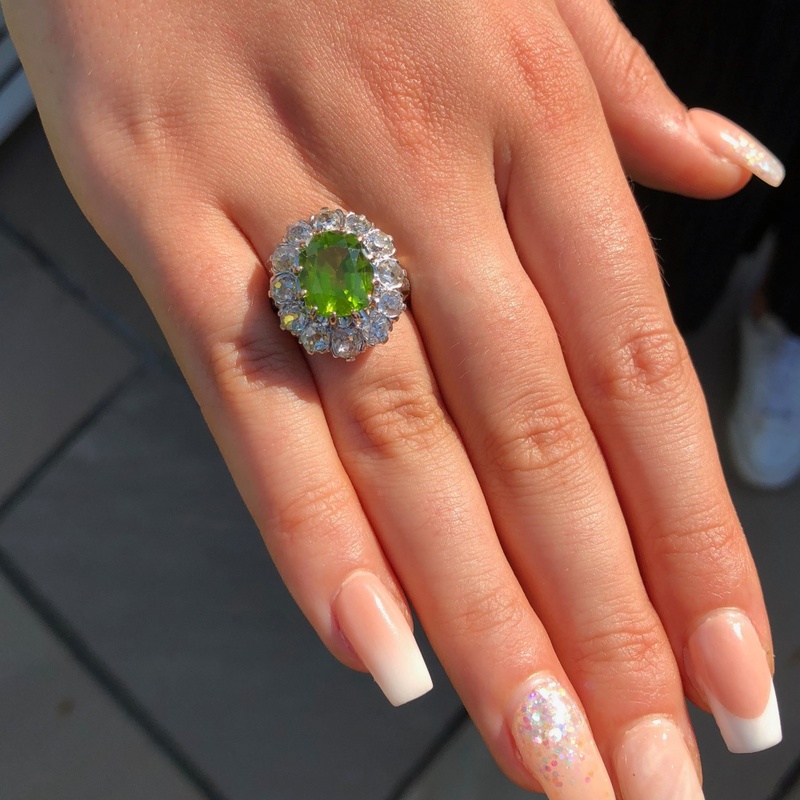 The peridot is a rich lime green colour, weighs 4.30ct and is surrounded by chunky Old European cut diamonds totalling 1.80ct which are set in platinum. 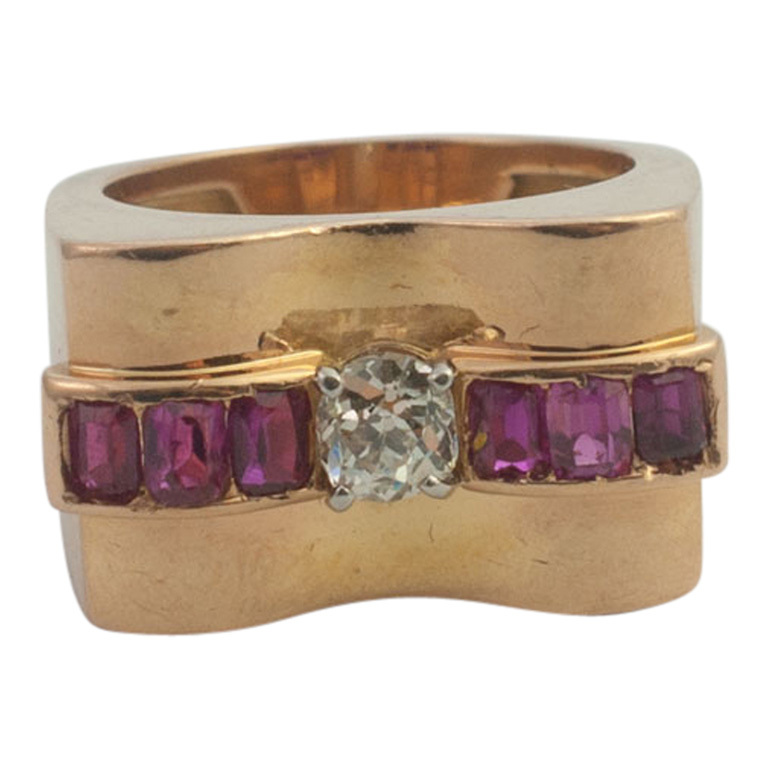 There are small diamond accents to the shoulders, and the shank and mount are in the warm tones of rose gold. 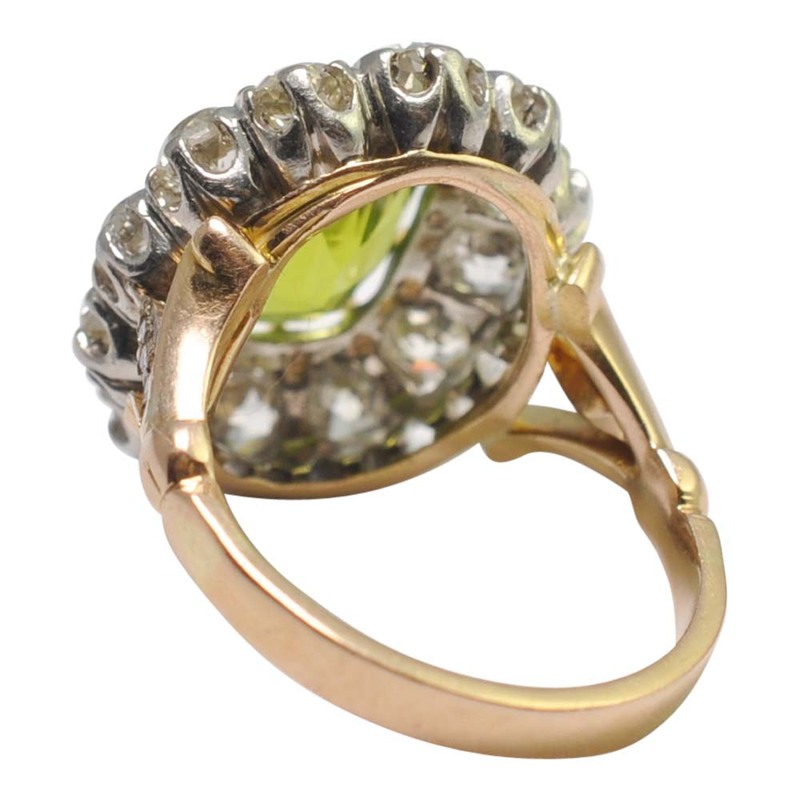 Tested as 18ct gold and platinum. 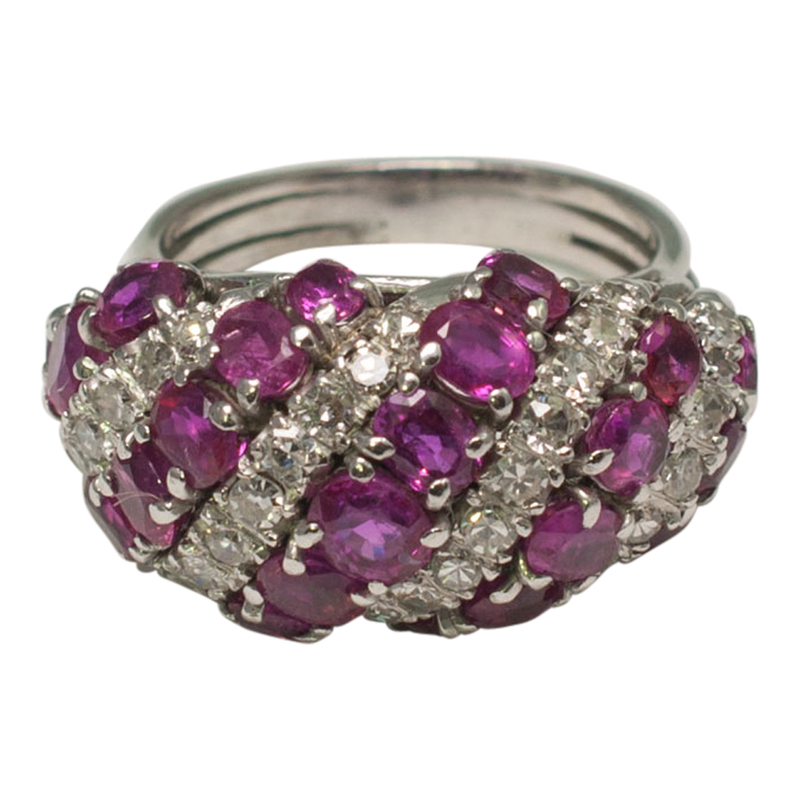 This is one of the earliest 20th century rings using platinum to set the diamonds in, as prior to this, the Victorian used silver. 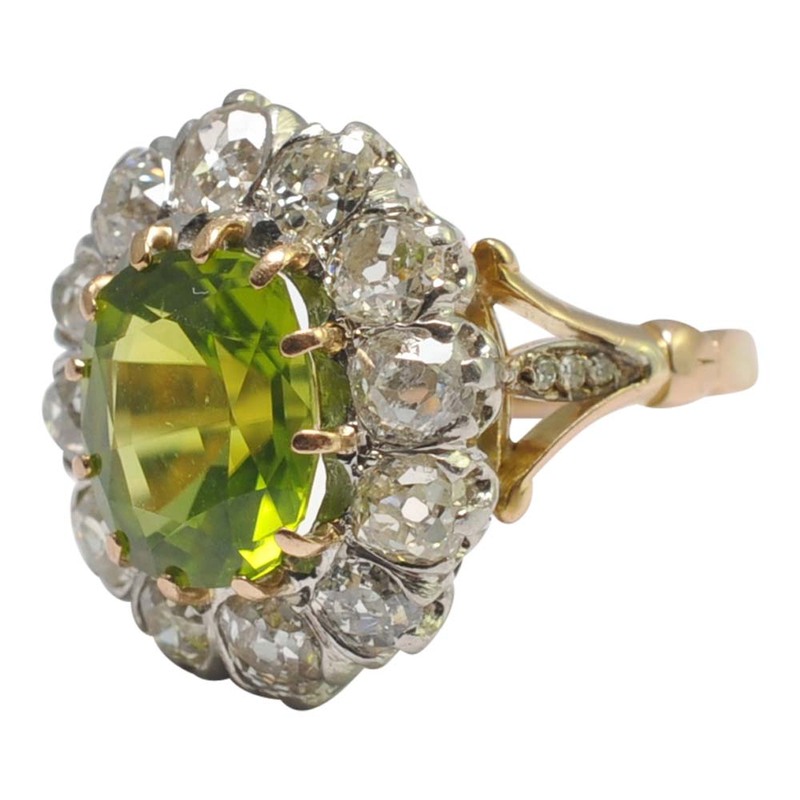 Weight 10gms. 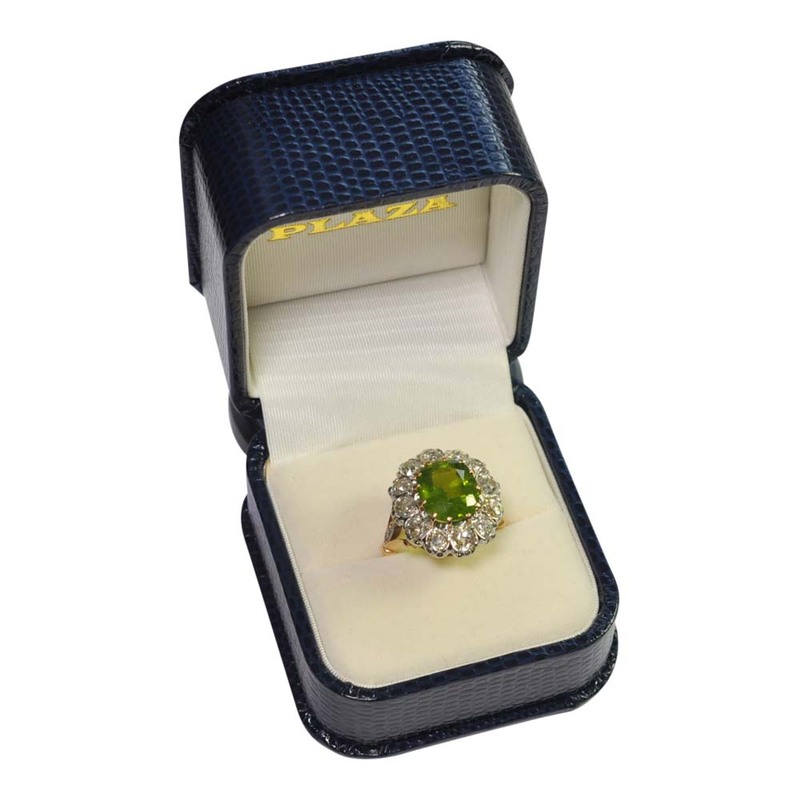 Measurements; 2cms long x 1.6cm wide x 0.90cm depth. 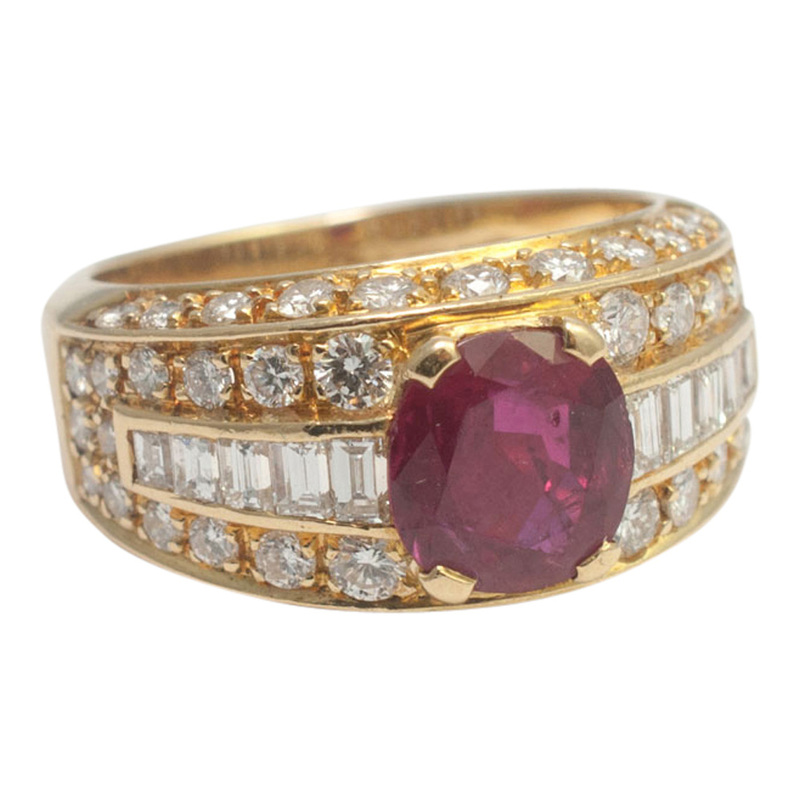 The ring has been professionally repolished and is in excellent vintage condition. Finger size M 1/2 (UK), 6.5 (US), 54 (French) which we can re-szie for you if required. 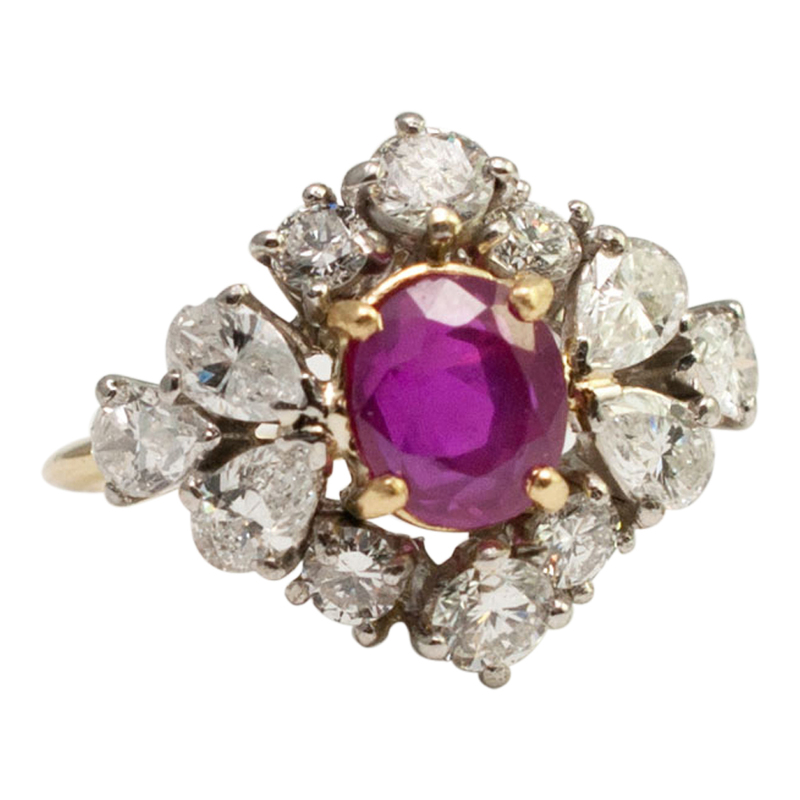 C.1910.